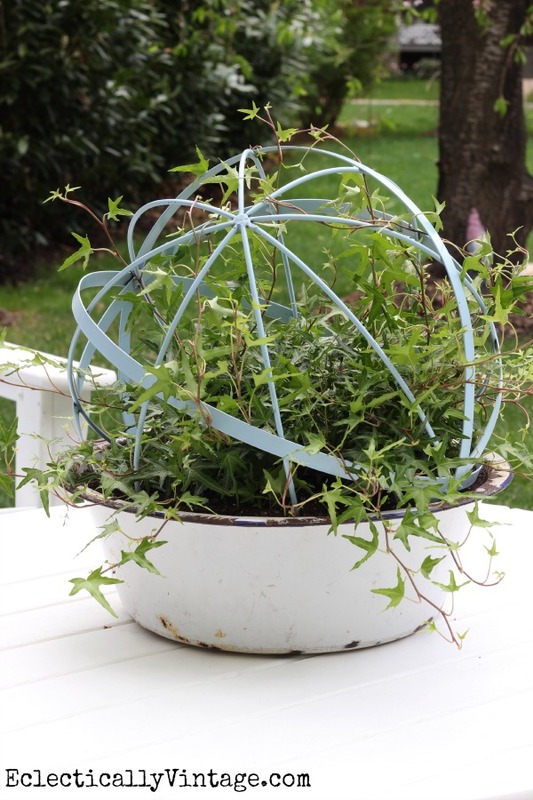 What do you get when you cross an old enamelware bowl with a metal orb and a hanging ivy plant? It’s the perfect mix of old and new. 1) Find an orb – I found mine at HomeGoods – and it comes in all kinds of cute colors like this pale blue. 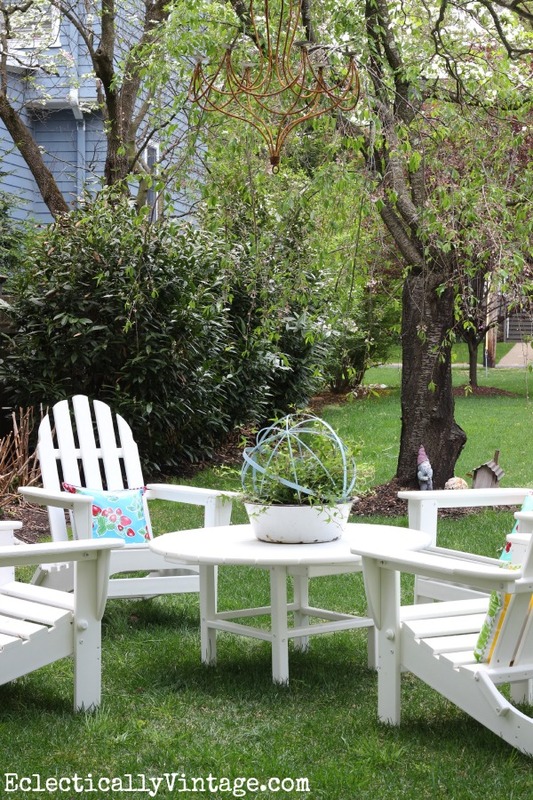 2) Find a planter – use your imagination. Whether you choose terra cotta, a galvanized mop bucket, or spray paint a plastic pot, there are tons of choices. 3) Protect from rust – yes, I know my enamelware bowl already has a few rust patches, but since it will be outside, I wanted to keep it from rusting even more. I sprayed the vintage bowl and the new metal orb with this. 4) Buy a climbing plant that fits your container. I chose ivy but you could go tropical with a climbing flower. 5) Fill planter 3/4 full with potting soil then add orb. 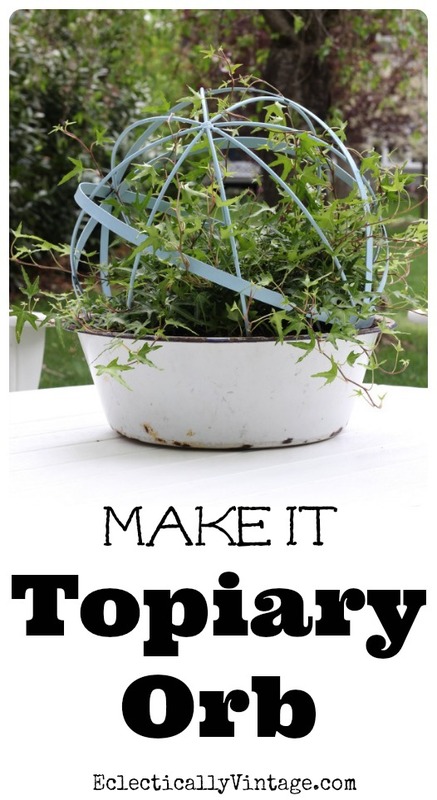 Gently break your plant apart by the roots (it’s easier if the roots are wet – I broke mine into three pieces) and put each section through the orb. 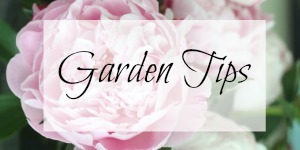 6) Add more potting soil, place amazing new planter where you can gaze upon it for hours then pour yourself a cocktail. and enjoying the warm weather. 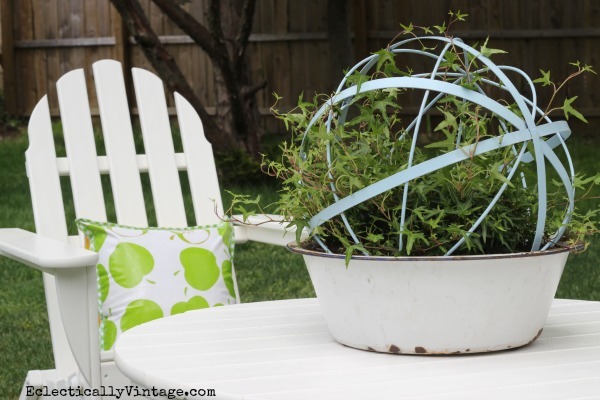 I’ve seen those orbs at HomeGoods…this is the perfect idea on using them! I love it! Great idea–I love the combo of the light-blue orb and the vintage enamel bowl! I love love love this idea! And I think I could do this!!!! Wonderful! OK…that is pretty fantastic….another fabulous thing I have to “copy cat” from you….love it!!! Kelly this is very cute, now if I can only grow ivy. Never happens for me, ever!!! STUNNING! I recently used a badly cracked/broken Zaneware bowl that was too gorgeous to let go as a planter for succulents! I glued the big pieces back on and then put hens and chicks in and surrounded them with fish tank pebbles. It’s such a gorgeous piece on my front porch! How gorgeous! Love the effect of the orb. Also love your last line regarding pouring a cocktail and gazing at the planter. 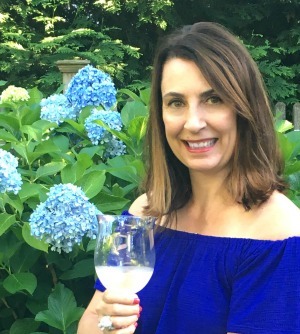 Now following you on FB; found you on Southern Hospitality. This looks so pretty in this area! Your did a great job putting it together, I love how it turned out. The whole area looks inviting. Great job, pinning! !